The world of digestive supplements can be soooo confusing and, all too often, draining to your wallet and sanity. When investigating how probiotic and prebiotic supplements are defined, more scientific words get thrown around than hairballs at a cat convention. On top of that, a new study comes out every week confusing people even further. 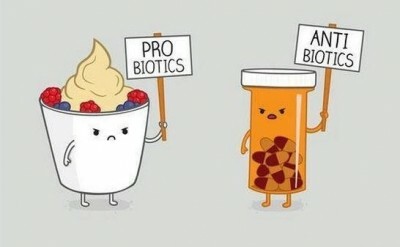 It took me months to figure out how probiotics and prebiotics were different, and that somehow there were no robots involved (that was very disappointing). My dumbed-down definition of probiotics is that they are, “a supplement or food containing millions of little ‘good bacteria buggers’ who attempt to set up residence in your intestine and courageously battle with bad bacteria dudes”. And while probiotics add live bacteria strains to your gut, prebiotics are a form of non-digestible fiber that act as food for good bacteria (what spinach is to Popeye, prebiotics are to good bacteria). See the diff? 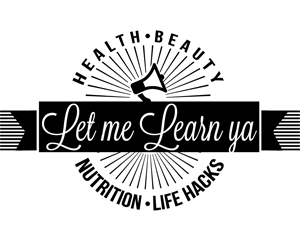 In case you still don’t get it, in typical Lana form, I’ll explain by use of a crazy cat lady analogy. Probiotic method: Crazy cat lady makes a trip to the “all natural, organic, and over-priced” cat store to purchase a bunch of cats, and places them in her backyard. However, she doesn’t feed them, they don’t survive well in heat, and they’re fighting with the other cats in her neighborhood. Using this method, crazy cat lady may only retain a few cats, and it was costly to purchase all the dang cats in the first place. Prebiotic method: Instead of purchasing cats and placing them in her backyard, crazy cat lady places buckets of cat food outside to attract all the cats in her neighborhood. 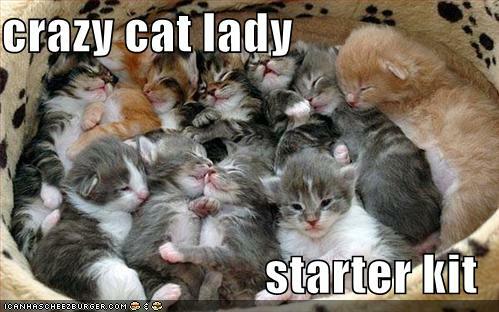 Next thing you know, crazy cat lady’s house is overrun with every cat within 50 miles. They’re expensive as HELL. A one month supply, depending on the quality, can set you back anywhere from $15-$80 per month. There’s no way to gauge quality. Given that the FDA does not regulate supplements, there’s no way to ensure that the claims on the box are what you’re actually getting. Although there’s a great site that quality checks supplements for you, but you need to pay for access to the info. They’re live creatures. Stomach acid, heat, and time ring the death bell for these guys. Therefore it’s extremely difficult to keep them safely preserved in transit to the store shelf, where they might be stored improperly and left on the shelves long enough to kill them. Once you ingest probiotics, most are killed by your stomach acid in an attempt to reach your intestine, where they then have to fight against thousands of bacteria already living inside you. There’s no recommended dosage. There are thousands of probiotic species, making it difficult for scientists to pinpoint which types improve your gut health. They also have no idea how many the average person should consume. The only time I take probiotic supplements now is if I’ve taken a round of antibiotics and want to quickly and drastically reintroduce good bacteria strains that have been wiped out by the antibiotics. Omg you guys, it’s so easy and cheap (like my mens). A wonderful man by the name of Jeff Leach, who’s kinda my hero because he tests poop all day, has proven that simply eating one leek could drastically improve your gut microbiome in 48 hours. You can also purchase prebiotic supplements, but why do that when you can supplement with food? Let me also call attention to the difference between the prebiotic fiber in raw onion vs. cooked. To get the most benefit from these foods you should eat them raw or barely cook them at all. When I add onions or garlic to cooked veggies, I always add them last and cook them for less than a minute. I also like to add raw leeks to salads. 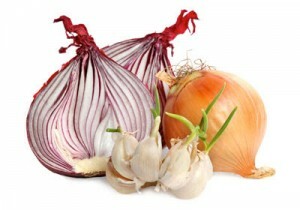 They have a milder flavor than raw onions, and give even more prebiotic benefits! Finally, a warning to people who possibly have an issue with FODMAPs foods, please read this article before attempting to supplement your diet with these prebiotic foods. Foods, such as yogurt, kefir, miso soup, sauerkraut, kombucha, pickles, tempeh, and kimchi. Supplements in the form of powders, pills, and liquids. If you choose to purchase pills, look for text that says “delayed-release capsules” or “enteric coated” because they’re more likely to make it past your stomach acid. I used to use these guys: Renew Life Ultimate Flora Probiotics . Licking the ground. Just kidding. Seriously, don’t do that. 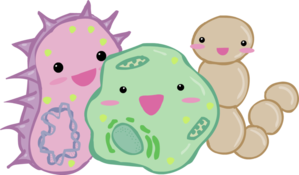 Now go out and populate your gut with these cute little buggers! They just want to give your intestine a hug!